Aeris designs are of a variable flow type that benefit from the very latest energy capture, monitoring and fan design technologies. They are built specifically for the swimming pool environment and their benefits are. They are some 10 years ahead of some designs on the market (eg: variable speed fans have been available on Recotherm units for 20 years and have been part of building regulations for the last 9 years and yet some manufacturers haven’t evolved, they still use belt driven single speed motors). 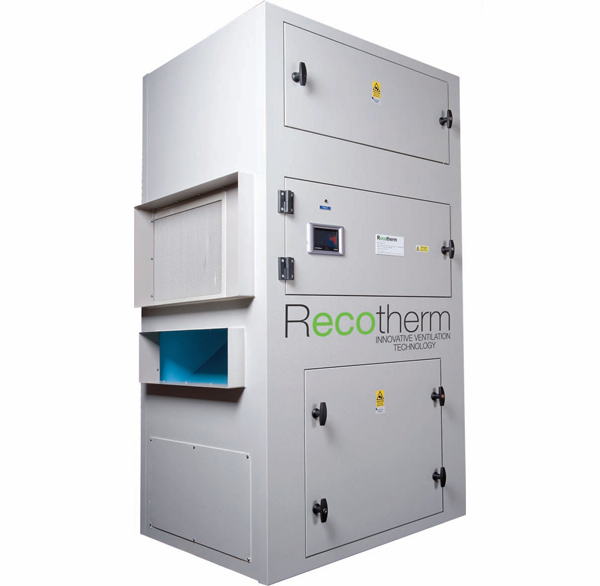 Recotherm high-efficiency plate exchangers recover the heat in the exhaust air and transfer it to the supply air. The use of EC blue fans to control the amount of air being circulated means electrical energy savings of up to 80%. 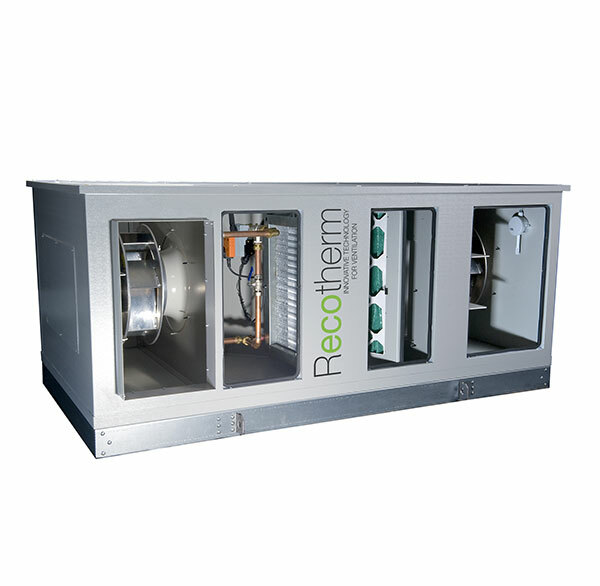 Completely adaptable to individual plant room configurations, each unit comes with alternative duct connections and is available in three formats; Vertical, Horizontal and DR. This is a remove and replace unit specifically designed to be a direct replacement for the Delta product. It has the same connections and is an easy-fit solution for those who wish to upgrade, with the minimum amount of disruption in the plant room.